Republican Sen. Josh Hawley took office in January after defeating Sen. Claire McCaskill in the November 2018 election. It usually takes time to build influence in the Senate, political scientist Greg Vonnahme said, but Hawley is staking out a place for himself. “While 100 days is a very small piece of time for a senator to be in office, especially when they're staffing up (and) getting their office operations running … already early on, there are indications that the way Senator Hawley envisions his career is one of active legislative service,” said Vonnahme, an associate professor at the University of Missouri-Kansas City. If so, Vonnahme said Hawley would be following in the tradition of current Missouri U.S. Sen. Roy Blunt and former Sen. Claire McCaskill, who both have reputations as hard workers. Hawley defeated McCaskill, a two-term Democrat, in November after one of the most expensive and closely watched races in the country. One area of focus has been the federal judiciary, which follows Hawley’s background as a U.S. Supreme Court clerk and constitutional law professor at the University of Missouri. Hawley, who spent two years as Missouri’s attorney general, is a member of the Senate Judiciary Committee. That’s the first stop for a president’s nominees to the federal bench. Hawley faced criticism from some in his own party in February for his questioning of the views of Neomi Rao, a nominee for the U.S. Court of Appeals for the District of Columbia — often seen as a stepping stone to the U.S. Supreme Court. Hawley also has made big tech a centerpiece of his short time in office. He wants a third-party audit of Twitter, accusing it of censoring conservative voices. And he has been outspoken on what he see as overreaches by companies like Google and Facebook on what they do with data from users. Skepticism of big tech is ground Hawley shares with Democrats like presidential candidate and fellow Sen. Elizabeth Warren, although for different ideological reasons. While criticism of tech giants has been bipartisan, Hawley largely is a strong supporter of President Donald Trump’s agenda. 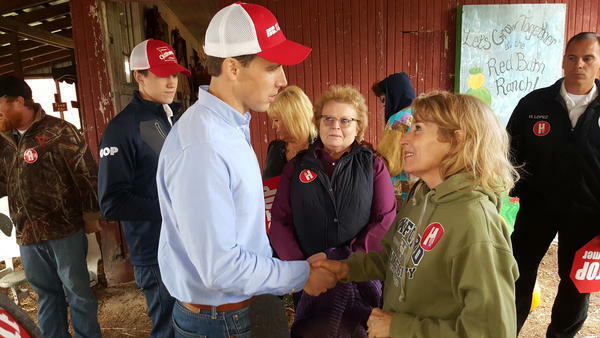 Unlike Blunt, Hawley voted against a resolution last month that would have rescinded the president’s declaration of an emergency at the southern border. He also is cosponsoring a bill that would reduce overall levels of legal immigration and moves to a merit-based system.